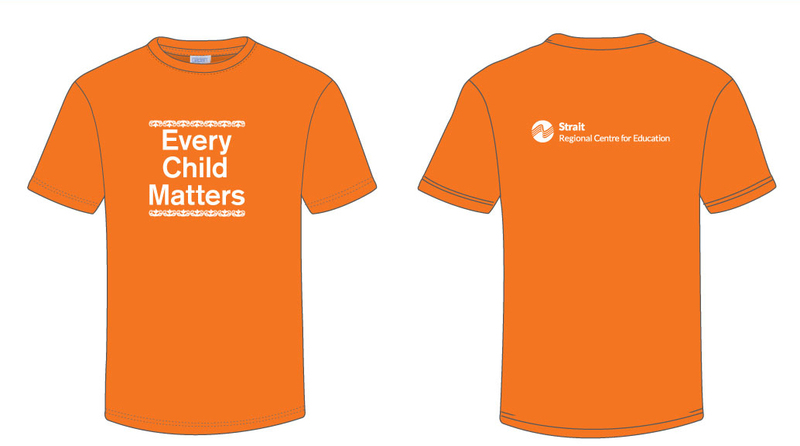 As the website, www.orangeshirtday.org points out, Orange Shirt Day is a legacy of the St. Joseph Mission residential school commemoration event held in Williams Lake, British Columbia in the spring of 2013. It grew out of Phyllis' story of having her shiny new orange shirt taken away on her first day of school at the Mission, and it has become an opportunity to keep the discussion on all aspects of residential schools happening annually. The annual Orange Shirt Day held on September 30 opens the door to global conversation on all aspects of Residential Schools. This date was chosen because it is the time of year in which children were taken from their homes to residential schools. This day is an opportunity to create meaningful discussion about the effects of Residential Schools and the legacy they have left behind. The day promotes discussion that all Canadians can tune into and use to create bridges with each other for reconciliation. It is a day for survivors to be reaffirmed that they matter, and so do those who have been affected. It is a day to show that Every Child Matters, even if they are currently an adult. It is an opportunity for First Nations, local governments, schools and communities to come together in the spirit of reconciliation and hope for generations of children to come. Over 150,000 First Nation Students attended the residential schools in Canada. Approximately 1,500 Mi’kmaw children attended the Shubenacadie School. It is estimated that 6,000 children never made it back from those schools. On September 27, 2018, you will see students and staff throughout the Strait Regional Centre for Education wearing orange. You will also see some students and staff wearing an orange t-shirt that has a double curve motif imprinted on it. This motif was designed, and kindly shared with us, by Gerald Gloade, an artist from the Millbrook Mi’kmaw community. The double curve motif has long been used by Mi’kmaw people as a symbol of togetherness. According to Frank Speck, curves represented plants associated with, “protective and curative properties of medicinal herbs,” which was very important to Indians. The exact symbolic meaning of certain double curve designs no longer known. However, they have several general meanings. The mirror image of the double curve, reminds us to keep balance in our lives. Clusters of curves together or side by side can symbolize community, alliance and the special unions of marriage and family. When coil flourishes are added, it is a reminder of springtime, when plant shoots are just starting to open. Sometimes flourishes are added to enhance double curves. Bailey describes “…the former consisting of the three lobed figure, the blossom, bud, leaf and tendril…” There is also a pedestal figure which seems to be a mark of identity. Double curves spread by means of trade and affiliation to many Algonquin and Iroquois tribes, who adopted and modified these designs in their craft work. However, double curves are believed to have started among the Algonquin group collectively known as the Wabanaki Confederacy, which includes the Abenaki, Mi’kmaq, Penobscot, Passamaquoddy and Malecite. For more information and resources, please visit www.orangeshirtday.org.